I was driving down the road and thinking about my business, what I wanted the heart of it to be. I knew in an instant, I want to make my artwork accessible to as many people as possible. The hard part about writing this post is that I had those thoughts almost 2 years ago, but life is funny and sometimes you have to go through things in order to become the person you need to be and gain the skills needed to do the things you want to do. So flash forward 2 years and I'm driving down that same road and I have this ache in my heart, like I'm missing out on something right now that I need to be doing. Do you ever get this feeling? Anyways, I realized right then that the timing is suddenly right. But, then of course I had a good wrestling match with myself as I tried to argue all the reasons I wasn't prepared, didn't know enough, the numbers just weren't what I thought they should be... you name it. And then I had that lovely small voice remind me "hey Kendra, it's not about you." This artwork is meant to go out into the world. It's meant to be seen, loved and enjoyed. Each painting has a story, a purpose and a way to touch someone else. My part of the story is just the beginning. My hands working with paint and canvas is only the beginning and to me that is so incredibly humbling and beautiful. Sometimes it's easy to get caught up in all the "what ifs," but when I take a step back and see things in this new way it makes me want to throw all the fear out the window and do the very best I can to serve you guys! So 2 years later and I'm taking the leap. It may not seem like much but I am so excited to focus not only on my original paintings and custom orders, but a whole line artwork for the shop. Artwork that is designed with you and your lifestyles in mind. I want you to enjoy artwork not only in your home, but in every other area of your life. 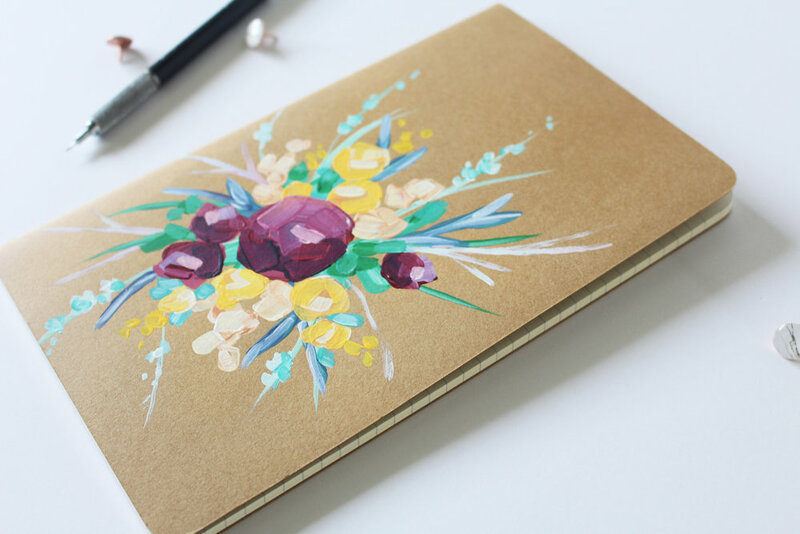 So I'm excited to announce that I am adding PRINTS, JOURNALS + CARDS to the shop! The prints are currently all sized at 8x10 and printed on beautiful linen paper. I'll be sharing some of my favorite ways to create the perfect art wall using these prints shortly so stay tuned! The journals may be one of my favorite new items (I did offer something very similar in the past, but these are new and improved!) 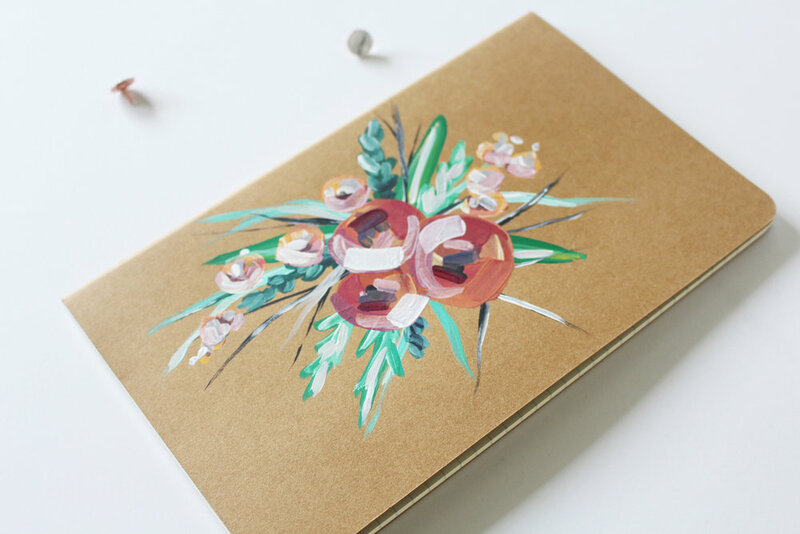 Each journal is hand painted and one of a kind! 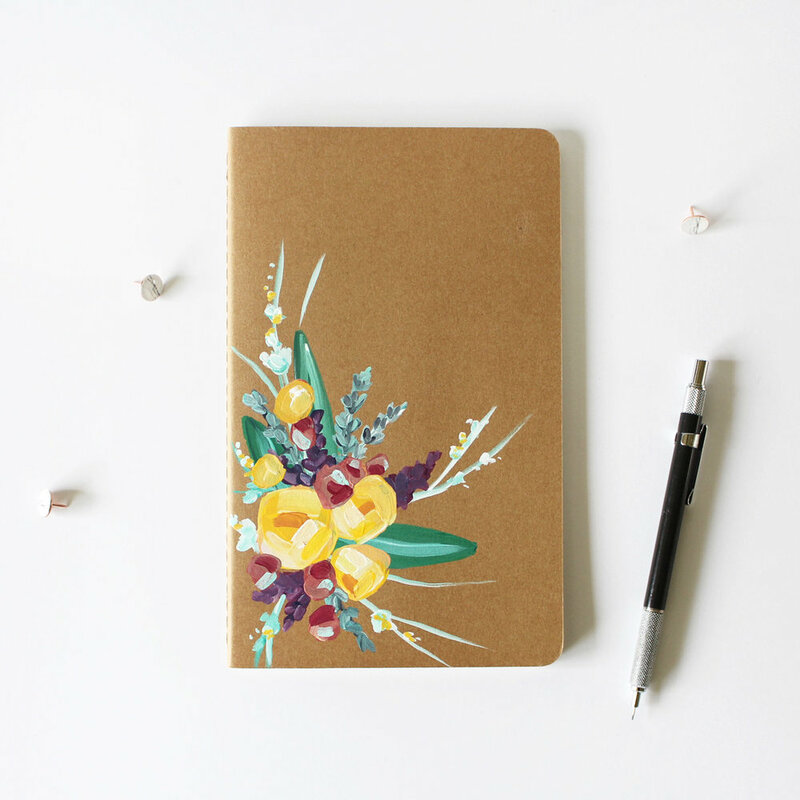 I love this, when you purchase one of these journals you literally get to carry around an original painting wherever you go. I can't tell you how excited this makes me. And now, the cards. 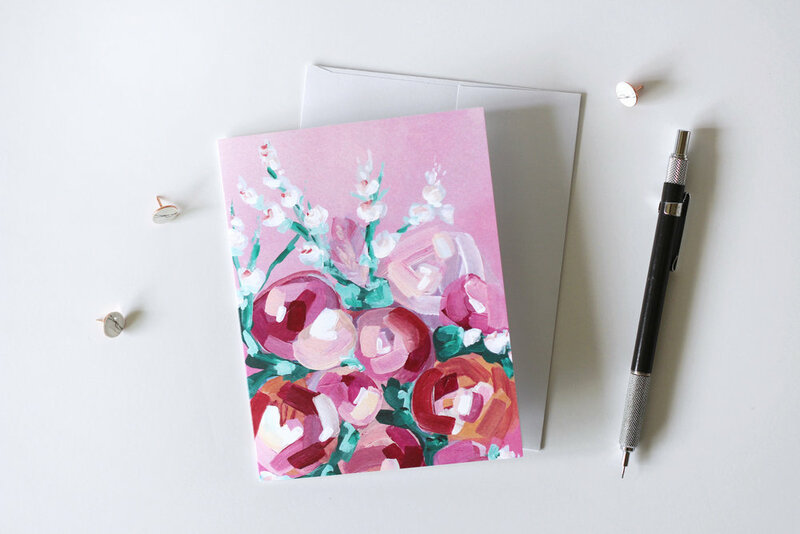 I love cards and I think it is so fun to receive and send mail so why not do it with these beautiful cards. Each of these cards came from original artwork that I created in my home studio. You can get these cards in Sets or Individually!